2 survive kerosene explosion in Imo State. 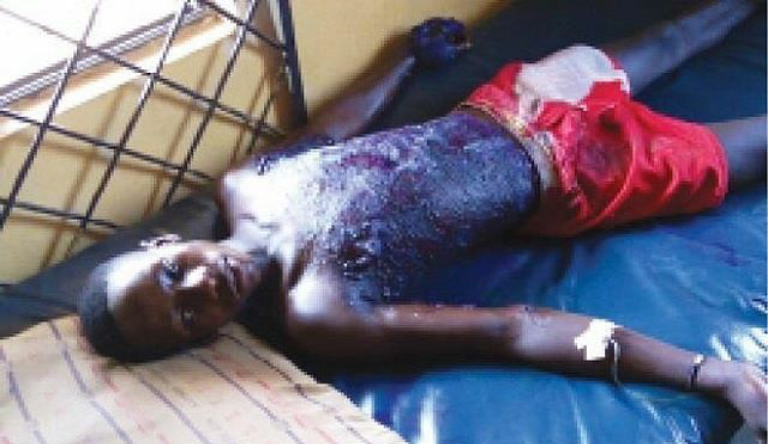 A young boy and a mother have survived kerosene explosion in Ideator North LGA of Imo State. Godspower Okeke (pictured above) and Mrs Chinyere Ugwumba were burnt by the adulterated kerosene, when they wanted to pour it into their respective lanterns.